Articles by David Heim, Thomas Nairn, and Janet Kittlaus focus on ethics or “moral theology.” These authors give us a glimpse of the struggle to make choices about how to live, choices about what to affirm, what to disavow. Avery Cardinal Dulles has reminded us that Christians approach this struggle with a particular set of assumptions: “The theory and practice of Christianity are inseparably intertwined. Believing as it does in a God who gave his own Son for our redemption, the Church is driven by love and compassion. Inspired by their faith and their love of the Lord, Christians are impelled to imitate his obedience, his humility, and his generous love.” (Avery Dulles, S.J., The New World of Faith, Our Sunday Visitor Publishing Division, p. 141.) As Heim, Nairn, and Kittlaus clearly show in this issue, the discernment of right imitation is often a difficult struggle, well armed by the good news though we are. Thomas Nairn takes us on a journey of comparison between Lutheran and Roman Catholic understandings of ethics, exploring these communions’ “diverse understandings both about how and why one lives one’s life as a Christian and about what the church ought to say regarding moral issues.” He contrasts the ways in which Roman Catholics and Lutherans reason about ethics and he compares their respective positions on a range of concrete issues. Fr. Nairn is not surprised that the different emphases in the two bodies lead to different articulations of the moral life. But he suggests that both Lutherans and Catholics might be surprised by the similarity of the churches’ concrete positions on many moral issues. Janet Kittlaus directs our attention to a particular moral question: whether to support or oppose the death penalty. 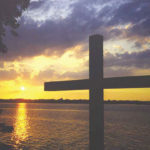 She boldly asserts that Christians have a biblically grounded mandate to oppose capital punishment and, indeed, that all persons of good will have justice-based reasons for such opposition. To make her case, she draws on tenets of orthodox Christian faith, an examination of various biblical texts, and on current social thinking about the application of the death penalty. Anticipating some correspondence on the matter of capital punishment (Let’s Talk! ), and in the spirit of Fr. Nairn’s comparisons, the editors recommend to our readers the following from First Things, April 2001, Nr. 112, p. 30: “Catholicism & Capital Punishment” by Avery Cardinal Dulles. The August/September issue of First Things, Nr. 115, contains responses to Cardinal Dulles. In his column, Frank Senn reflects on the recent episcopal election in the Metropolitan Chicago Synod. He looks to the Augsburg Confession for a “job description” for bishops, relating the Reformers’ situation and vision to our own. Andrew Leahy reports Marva Dawn’s presentation in the synod-sponsored series “Refreshing the Hearts of the Saints.” He offers both personal reaction and a summary of Dr. Dawn’s What Makes the Lamp Shine? ; Igniting and Fanning the Flame of Faith. In the last issue of Let’s Talk, Paul Buettner wrote about “The Perils of Success.” Wayne Miller offers a response, writing about “Success and the Cross,” and Buettner replies.